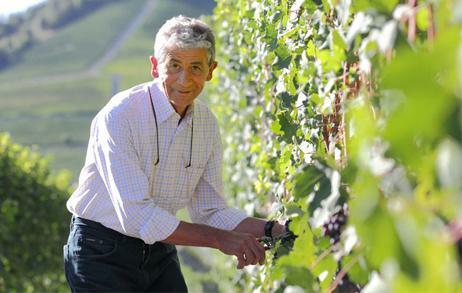 " Instead of doing two separate bottlings: Dolcetto di Dogliani (from vineyards near the cellar) and Dolcetto d’Alba from the Ginestra vineyard, Clerico declassifies his fruit, producing a Dolcetto di Langhe. Anything but average, Clerico's Visadi goes great with red meat or medium-aged cheeses. Wine Advocate 95 "The 2008 Barolo Aeroplanservaj puts on a whole different act. Here, the emphasis is on elegance and finesse. The opulence and massiveness of the wine fits in with the Clerico philosophy, but unlike the Barolo Briccotto its strongest cards are played with a more subtle strategy. Wine Advocate 89 - AG "The 2011 Langhe Dolcetto Visadi is gorgeous in this vintage. Sweet, silky layers of fruit caress the palate in this expressive, nuanced wine. The 2011 is a little laid back but it is very pretty just the same, as the starting point with this fruit is of a very high level.